March 14, 2016 — The Obama administration is expected to withdraw its plan to permit oil and gas drilling off the southeast Atlantic coast, yielding to an outpouring of opposition from coastal communities from Virginia to Georgia but dashing the hopes and expectations of many of those states’ top leaders. In January 2015, Mr. Obama drew the wrath of environmentalists and high praise from the oil industry and Southeastern governors after the Interior Department put forth a proposal that would have opened much of the southeastern Atlantic coast to offshore drilling for the first time. March 14, 2016 — South Atlantic Fishery Management Council officials approved five offshore areas as Spawning Special Management Zones, or SMZs on Friday at a meeting in Jekyll Island, Ga. Among them are three off the South Carolina coast and another off of North Carolina at a meeting. In addition, NOAA Fisheries announced during the meeting that the recreational fishery for cobia will close on June 20 in federal waters from Georgia to New York, which is the Atlantic group of the species. The area off the coast of South Carolina that will be closed to snapper-grouper fishing is a 3.03-square mile tract of bottom that is part of the Georgetown Hole, located about 55 miles southeast of the Winyah Bay jetties. Also to be closed to snapper-grouper fishing are two experimental artificial reef areas established by the state Department of Natural Resources (SCDNR) known as Area 51 and Area 53, each approximately 3 square miles in size off the South Carolina coast. A 5.1-square mile area off the coast of North Carolina known as the South Cape Lookout site will also be closed. The fifth closure is a 3.6-square mile area off the east coast of the Florida Keys known as the Warsaw Hole, or 50 Fathom Hole. Fishing for snapper-grouper species would be prohibited and anchoring not permitted in closed areas, but trolling for pelagic species such as wahoo, dolphin, tuna and billfish would be allowed. If approved by the Secretary of Commerce, the five areas ranging in size from 3- to 5-square miles, and be the first such Spawning SMZs designated in federal waters off the South Atlantic coast. Thanks to the efforts of Aundrea O’Neal at Beaufort Inlet Seafood, NCFA now has the information needed to plug into our database for vital information for those fishermen who pack at that facility. 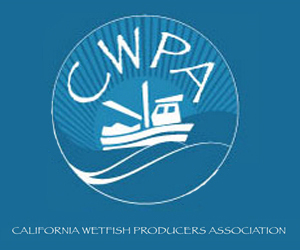 Our biologist, David Bush, needs that information to quantify how regulations may impact fishermen. For example, our new database will include the fishermen’s name, address, phone, email if any, gear type used, areas fished and targeted species. Whether it’s to assess potential regulations or to fight what we perceive as overzealous regulations by state and/or federal regulators, we need this data to make it easier for David to compile it. Last week I was in Dare County and one of the meetings I attended was the monkfish meeting on Thursday evening at the DMF office in Manteo. There were a total of 4 at the meeting: 3 DMF employees and me. One might wonder why fishermen aren’t taking the time to attend an information meeting about monkfish. Consider this: by law, they can only fish for about 4 weeks in March/April. They can only fish between 2 & 3 miles in the ocean. It’s illegal to fish for monkfish in federal waters, which begins at the 3 mile mark. They can only fish if the water temps are under 52 degrees. Rationale? Not so much for monkfish, but “other issues”, such as sea turtles. If the temps are above 52 degrees, there is a better possibility of interaction with sea turtles, so the fishery closes. Inside of 2 miles there is a possibility of interaction with marine mammals. Point being this: with the restrictions outlined above, there is not much of an incentive for a fishermen to target monkfish. 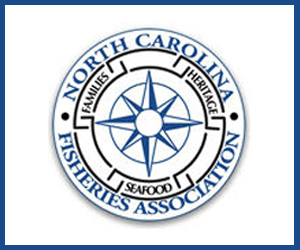 As a result, the landings will be minimal in North Carolina, not because there aren’t any monkfish, but because there is not an adequate economic incentive to fish for them. Those who are always proclaiming that the sky is falling will then cite the declining landings and allege that commercial fishermen are catching them all! It’s a vicious cycle that is not unique to monkfish! Meanwhile, a rash of letters to the editor recently allege that commercial fishermen in North Carolina have few regulations! Thanks to those of you who have contributed to our Southern Flounder Fund. Those funds will be used exclusively for issues related to southern flounder, either legally or other avenues to address the situation. If you have not yet contributed, please do so ASAP! 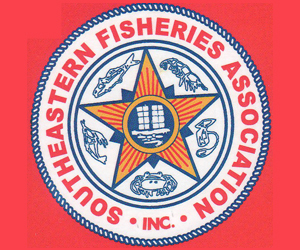 Please make your check out to NCFA/Southern Flounder Fund or to the NC Fisheries Association and be sure to put Southern Flounder Fund in the memo. March 7, 2016 — Jackson County’s Board of Supervisors decided Monday to have its meetings videotaped and posted for the public to see online. 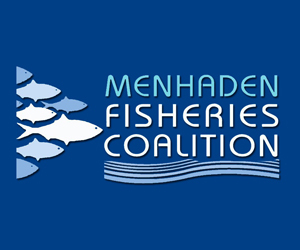 Also on Monday, the board, in a split vote, decided to ask the state to restrict menhaden fishing to one mile off the Jackson County mainland. A spokesman for Omega Protein, a commercial menhaden fishing operation out of Moss Point, tried to convince the board that it would hurt their $46 million-a-year industry, but county Supervisor Troy Ross said he sees it as a protection measure for fish in the Mississippi Sound. Company spokesman Rick Schillaci told the board the Omega Protein already self-imposes a half-mile restriction in Jackson County and asked county leaders not to impose one mile. 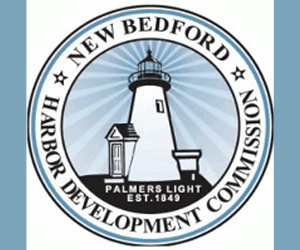 He accused the board of bowing to recreational fishermen. March 1, 2016 — Under federal fisheries management, red snapper populations in the Gulf of Mexico are recovering and the boating and fishing industries have grown. But on Thursday, a U.S. Senate committee will hear a proposal that could gut a decade of recovery and growth for both. The idea floated by Sen. David Vitter, R-La., would create a piecemeal system by extending the state waters of Alabama, Louisiana and Mississippi from 3 miles to 9. In addition, his plan would loosen some of the stronger tenets of the Magnuson-Stevens Fishery Conservation and Management Act — like science-based rebuilding timelines and annual catch limits. The other gulf states’ gains would be Florida’s loss, particularly for anglers in the Tampa Bay area who must travel at least 30 miles offshore to find 60-foot waters where the red snapper population flourishes. 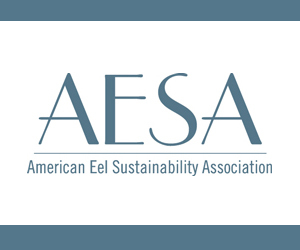 In effect, those other three states’ extensions would create enough extra state-water fishing pressure that the stock’s rebound would be imperiled. To keep the fish populations from plunging, the government would have to severely limit the number of days for fishing in federal waters. As a practical matter, Florida fishermen would have far fewer days to catch snapper. 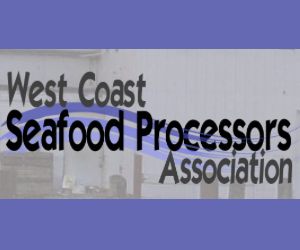 On Thursday, Vitter will argue before the Senate Small Business Administration Committee that the 3-mile limits hurt small coastal businesses across the gulf that rely on healthy fish populations and liberal access to them. He is wrong. And as a small boat dealership and marina owner, I know something about this. February 29, 2016 — In a move that surprised commercial and recreational fishermen alike, Dr. Louis Daniel, III resigned as director of the N.C. Division of Marine Fisheries this afternoon. John Evans, chief deputy secretary of the N.C. Department of Environmental Quality sent an e-mail to all NCDEQ personnel that Daniel had stepped down, effective immediately, and that Col. Jim Kelley of the N.C. Marine Patrol would serve as acting director until a replacement for Daniel is selected. Daniel, who received his B.A. in Biology from Wake Forest University, a M.S. in Marine Science from the College of Charleston, and a Ph.D. in Marine Science from the College of William and Mary, School of Marine Science, Virginia Institute of Marine Science, followed Preston Pate as the DMF director on Feb. 1, 2007. Daniel worked a year with the U.S. Fish and Wildlife Service before joining DMF as a biological supervisor in 1995. Before being appointed director, he served nine years as an executive assistant to director Pate, working extensively with the South Atlantic Fisheries Management Council (SAFMC). Daniel served as chairman of the SAFMC from 2004 to 2006. Daniel began as the North Carolina commissioner to the Atlantic States Marine Fisheries Commission in 2007 and was elected ASMFC Chair in 2013. He is a recipient of the N.C. Department of Environment and Natural Resources Distinguished Service Award and the U.S. Fish and Wildlife Outstanding Service Award. February 17, 2016 — WILMINGTON, NC – Fisherman packed into the Blockade Runner on Wednesday night to voice their concerns and frustrations about the possibility of closing the recreational Cobia fishing season in June. 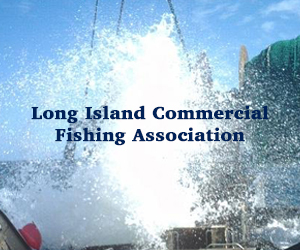 Louis Daniel, the director of the Division of Marine Fisheries, said the South Atlantic Fishery Management Council is responsible for managing Cobia from the Florida Keys up through New York. The Fishery Management Plan for Cobia sets an allowable recreational catch limit and if that limit is exceeded, then the council has to shorten the season to keep the harvest rates below the catch limit. Daniel said that is a federal law that they have to follow. The federal proposal is to close the season on June 15. The National Marine Fisheries Service, however, is waiting to see if North Carolina drops the Cobia bag limit from two fish to one fish. If the North Carolina Division of Marine Fisheries votes to drop the bag limit, Daniel is hopeful the National Marine Fisheries Service will do some more calculations and be able to extend the season a little longer. February 16, 2016 — In an aerial video of the coast, tens of thousands of blacktip sharks are spotted yards off the beach at Palm Beach Florida. In an annual migration period, blacktip sharks always seem to congregate at Palm Beach. There isn’t a clear answer on why the sharks always come to Palm Beach, some speculate temperature and currents, while others argue its the abundance of mullet and menhaden. February 10, 2016 — There might be no Kure for North Carolina’s off-shore drilling problem. One of eight potential planning areas for drilling — as part of the national 2017-22 Oil and Gas Leasing Program — will be off the coast of Kure Beach, North Carolina. This plan, if approved, would drill about 80 percent of the estimated undiscovered, technically available oil and gas resources within the United States. Residents of Kure Beach are concerned for a drilling accident that could parallel the Deepwater Horizon incident in 2010. David Rogers, state director of Environment North Carolina, said this plan has downsides if it is approved.